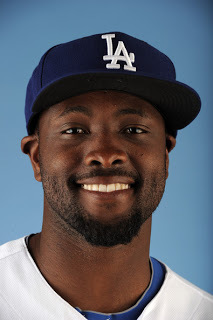 Tag Archives: Tony Gwynn Jr.
Daily Distractions: Will a day off cure what ails the Dodgers’ Matt Kemp? By the looks of things, the Dodgers ought to worry less about Matt Kemp‘s mechanics at the plate than what’s going on inside his head. 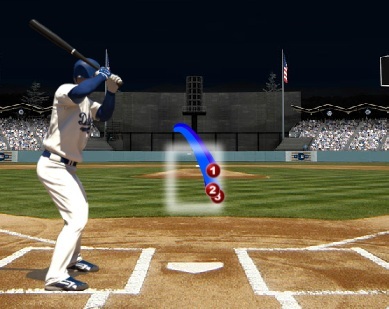 That image, courtesy of MLB.com’s Gameday tool, shows Kemp’s final at-bat Tuesday against Jason Marquis. Appropriate to the picture, the bat did not leave his shoulders. Kemp took an 83-mph slider, an 88-mph sinker, and an 82-mph changeup for strikes, ending the sixth inning with a whimper. I didn’t have a chance to speak to Kemp after the game, but Kemp typically isn’t introspective in the midst of a slump. Most hitters aren’t; if they could explain why they were slumping, they would be hitting the ball better. Based on that sixth-inning at-bat, it would be tempting to pin Kemp’s problem on poor pitch selection. It might not be that simple. 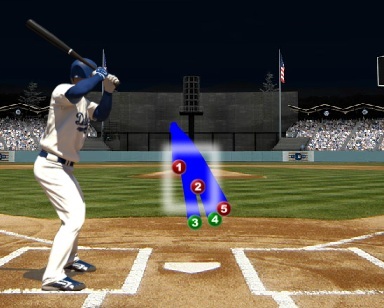 In this at-bat, Kemp’s pitch selection is pretty good. He took two pitches low and out of the zone with two strikes (#3 and #4), then swung a pitch (#5) that might have been a strike — it was about an inch higher than the pitch before. Yet Kemp missed. You have to wonder what he was thinking on the second pitch of this at-bat, a swing-and-miss on a slider over the fattest part of the plate. Kemp saw two sinkers from Marquis in his first at-bat. The pitch chart isn’t integral here — Kemp took a ball 10 inches off the plate then flew out to right field on the second pitch, which was in the strike zone. Both pitches were sinkers. By the time the sixth inning rolled around, Kemp should have figured he wasn’t getting any fastballs from Marquis. Yet he took three breaking balls in the strike zone without swinging the bat. Don Mattingly said after the game that he’s considering giving Kemp a day off, even though the Dodgers have an off-day Thursday. The manager seems to believe Kemp’s slump (he’s hitting .185) begins and ends between his ears. 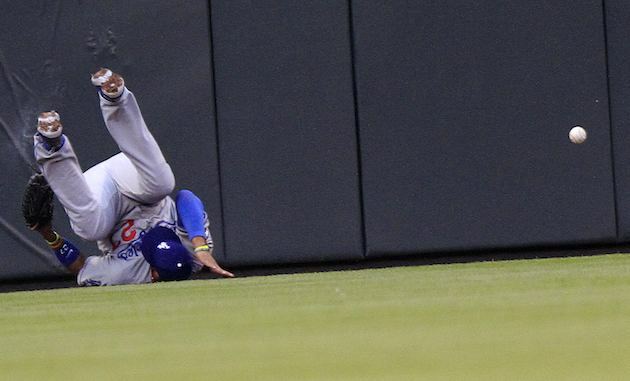 Dodgers spring training preview: Outfielders. There’s immense potential among this group, but questionable depth beyond the three starters – and an immediate need for depth. Remember when Shane Victorino and Torii Hunter were being mentioned as potential fourth outfielders? It’s because the need existed: Carl Crawford had Tommy John surgery on his left elbow and arthroscopic surgery on his left wrist in 2012, Matt Kemp had surgery to repair his left shoulder last October, and Andre Ethier can’t hit left-handed pitching. More on that in a bit. In lieu of any big-name acquisitions, Jerry Hairston Jr. and Skip Schumaker — utility infielders who make occasional cameos in the outfield – might begin the season as the fourth and fifth outfielders. Crawford might well begin the season on the disabled list. With so many question marks, there will be plenty of focus on this group in the spring, beginning with the heart and soul of the Dodger lineup. Dodgers inviting 17 NRIs to spring training. Tony Gwynn Jr. tried to convince his dad to leave San Diego. Dodgers outfielder Tony Gwynn Jr. has it different than any other visiting player at Petco Park. There is a street outside the stadium named after his father, Tony Gwynn, a 15-time All-Star for the Padres from 1982-2001. Gwynn’s number 19 is retired here, one of six numbers on display above the center-field fence. But at some point, this has to become second-nature to the 29-year-old baseball progeny, who still calls San Diego home in the off-season — right? It reminds him of something else, too.